The DD740 is inserted in the digital audio path between your video source (DVD, DVR, etc.) and your AV receiver (or sound bar) as in the diagram above. 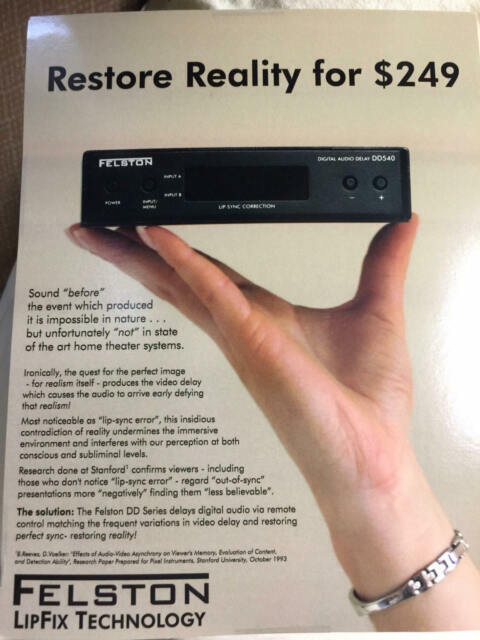 Since the DD740's "bit-perfect reproduction" does not change the digital audio signal, it is compatible with PCM and all present and future s/pdif. Behringer FBQ3102HD Stereo Graphic Equalizer NEW!! MAKE OFFER!